As the name suggests, degenerative disc disease is (mostly) an age-related process that goes on in your spine in which the shock-absorbing cushion located between adjacent spinal vertebrae (bones) deteriorates. DDD, as it’s often referred to, is usually the first event in a cascade of changes that may lead to arthritis, and possible complications such as spinal stenosis. While prevention is not technically possible—nearly everyone develops at least a few degenerative spinal changes—you can implement lifestyle fixes to help slow the onset of this potentially painful problem. First and foremost, it's important to be aware that implementing lifestyle fixes will involve active participation on your part. In other words, there's no pill out there that will simply prevent your DDD. The key to slowing the rate at which degenerative spinal changes develop is less about pill-popping and much more about reducing the effects that day-in and day-out wear and tear can have on your spine and other joints. That said, supplements and herbal remedies that strengthen and/or nourish the musculoskeletal system, in general, may actually play a role in preserving the integrity of your spinal discs. We’ll talk more about this later in the article. Meanwhile, if you’re feeling lost about how to nip degenerative disc disease in the bud, never fear. In this article, I’ll go over the most common best practices for taking charge of your spine’s wellness as it relates to DDD. Ask any spine specialist about the one thing you can do to prevent degenerating discs and they’ll likely tell you to stretch. Basically, this translates to taking your joints through a full range of motion and doing so regularly. The second most helpful thing they’ll likely suggest is strengthening your muscles, particularly back and core (abdominal) muscles. And finally, they’ll probably direct you to get regular aerobic activity, with walking as the first choice. First, as mentioned above, if walking doesn’t give you pain, try to include it in your regular program. Walking is pretty easy on the joints overall, but it still helps increase circulation and muscle endurance, and it's good for your heart. 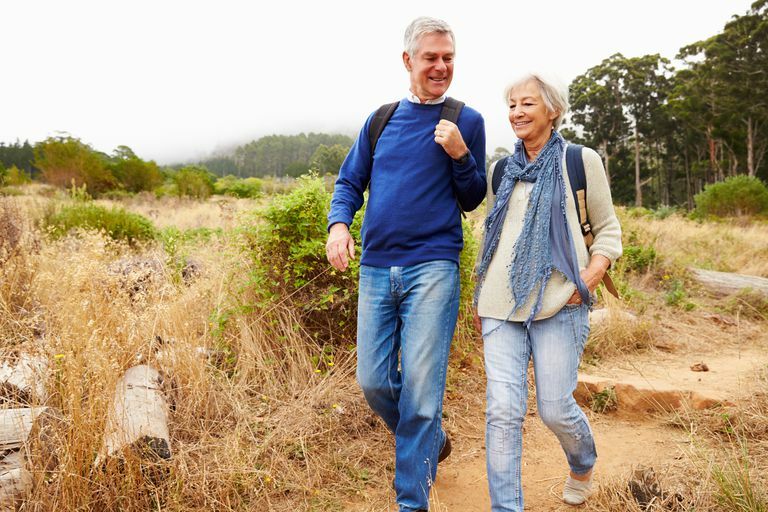 The American Council on Exercise recommends taking a 30-minute walk (or other aerobic activity) about 5 times per week as a way of generally supporting your health. But if walking does result in pain, working out in water may provide an alternative. As degenerative changes progress, joint movement may at some point become “bone on bone,” which means the disc and its shock absorbing capacity has eroded away. In this case, land-based exercise may increase your pain. Working out in water is great because it takes much of the load out of the equation. Most communities offer water exercise classes at a variety of levels of difficulty; check yours to find an appropriate opportunity. Second, you may need to minimize or avoid twisting and bending actions when you work out. This is not an excuse to skip exercise, but you may need to review your program with a licensed, qualified professional to be sure it’s not furthering the development of your DDD. Third, get in the habit of using good form when you exercise (see the following section for more information). Activity, exercise and in particular, strength training, are only as good as your posture and alignment. Maintaining good form also helps avoid neck and back strain. No discussion on exercise is complete without a chat about body mechanics and good form. Learning about these — and employing them, of course — can go a long way toward maintaining proper fit between the bones that comprise your joints; this is key for slowing degenerative changes over the long haul. Minding your mechanics is also an excellent way to establish a balance between the muscle groups that are designed to move those joints. In case you didn’t know, muscle balance is one of several key contributors to disc and spine wellness because it helps reduce or avoid undue pressure on joints. A lack of muscle balance throughout the body generally translates to increased joint wear and tear, which, as mentioned above, is the main precursor to arthritic, degenerative changes that take place in the spine as we age. Legs, hip joints, and the pelvic bone are powerful posture promoters. Although engaging them instead of your more delicate spinal structures when doing common movements requires more effort, it is one excellent way to take the pressure off your discs. Given all that, a key rule of thumb for protecting your discs from injury and subsequent degeneration is to avoid relying too much on your spine when doing the heavy work. This bit of advice can apply to many activities, including gardening, climbing stairs, lifting things, and maintaining good posture when you sit at a computer. It’s a great foundational skill well worth mastering for use in your daily life. A good way to get a handle on good form is to take up either Pilates or yoga. Both methods train the body and the mind to stay in alignment while moving. This training, like the “use your legs and not your back” recommendation, can be applied to other activities, as well, from walking to housekeeping and more. It’s well known that smoking is associated with numerous health problems. And disc degeneration is among them. Studies show that smoking tobacco affects discs in more than one way, as well as in more than one area. For example, a 2015 study published in the journal PLoS found at least two mechanisms by which smoking might damage discs: Not only does it decrease rebuilding activity that takes place at the edges of the disc, but it also constricts blood vessels, which are tasked to deliver nutrients to the disc. The smoking habit may also make your back pain worse. Science is still working on this, but in general, it’s believed that smoking increases pain perception. For example, a 2016 study found that male smokers who underwent major surgery required more pain relievers post-operatively than non-smokers. If you’re not at your ideal weight, consider getting there. For most of us, this is easier said than done. But carrying less weight on your body means less pressure is being placed on your joints and discs. A study published in the International Journal of Obesity found that people with a BMI above 25, which classifies an individual as overweight but not obese, increases the risk of lumbar disc degeneration. The researchers added that being overweight at a young age was particularly detrimental to disc health. What you do for work matters to your back and your potential for developing DDD. This includes people from all walks of life, from those who sit at computers to manual laborers. Most experts say that occupations that are neither sedentary nor physically demanding give you the best chance of preventing or slowing degenerative spinal changes. If you are sedentary, you likely don’t build a lot of muscle strength. But strong muscles may help take pressure off your discs. Plus, muscle weakness may encourage muscle tension, and this often leads to pain. If you engage in heavy manual labor, on the other hand, especially if you don’t maintain a balanced strength training program outside of work, you may be more prone to joint strain and wear and tear. For these reasons and more, experts tell us that where possible, we should try to strike a balance between extreme physical exertion and complete inactivity. As mentioned at the beginning of this article, taking supplements and herbal remedies is not the way to prevent or slow degenerative disc disease from developing. With little exception, science has not come up with DDD-specific mechanisms that would likely respond favorably to taking pills, or eating certain foods, for that matter. But using diet and possibly some supplements, including herbs, in a general way may contribute indirectly to the well-being of your discs. You might think of the nutrient approach in terms of strategy rather than cure or specific prevention measures. Foods and supplements that support the musculoskeletal system may help preserve your discs. Likely the most helpful is vitamin D.
A 2016 study involving 110 patients with degenerative disc disease found that that nearly half had a vitamin D deficiency. (The researchers say that more studies—particularly ones that evaluate a variety of populations—is needed before they can definitely recommend vitamin D, though.) In some studies, vitamin D is also associated with the reduction of fracture risk. Another nutritional strategy is to try to decrease the amount of inflammation in the body. Scientists are still figuring out the exact role inflammation plays in the development of DDD. Previously, it was thought that inflammation only had detrimental effects on the disc; but more recently, evidence suggests helpful roles for inflammation. A 2015 study found that inflammation contributes to tissue homeostasis. Recall from your grade school science that homeostasis is the body’s way of staying in balance and therefore, maintaining health. In sum, if you're looking to protect the well-being of your spinal discs over the long haul, consider getting away from the computer more often, maintaining a walking and stretching program, eating healthy and working with your doctor and/or physical therapist to tailor a lifestyle to your specifications. Chiang, H., et. al., The Implications of Tobacco Smoking on Acute Postoperative Pain: A Prospective Observational Study. Pain Res Manage. March 2016. Elmasry, S., et. al., Effects of Tobacco Smoking on the Degeneration of the Intervertebral Disc: A Finite Element Study. PLoS One. Aug. 2015. Liuke, M. Disc degeneration of the lumbar spine in relation to overweight. Int J Obes. Aug. 2005. Molinos, M. Inflammation in intervertebral disc degeneration and regeneration. J R. Soc Interface March 2015. Zolfaghari, F., et. al., A Survey of Vitamin D Status in Patients with Degenerative Disease of the Spine. Asian Spine Journal Oct. 2016.